The most technologically advanced and the highest performance level. Orphek P300 V3 was already a success because it was a solution that could be customized to light large tanks, either deep or shallow such as public aquariums, zoos and other large & deep public displays and coral farm shallow nurseries and displays. Now the most versatile Orphek solution has now IoT technology! By launching groundbreaking technologies Orphek gained respect and recognition as a leader in Aquarium lighting technology and innovation for reef aquariums lights. So we did it again! Our newest Orphek ATP300 V3 Plus has taken a giant step into the future with the newest internet technology, Internet of Things or IoT. CHECK ATLANTIK P300 V3 PLUS VERSATILITY AND WHAT IT CAN DO FOR YOU! Plug and Play, one button connection process. Ability to program multiple pendants individually, in groups or in unison. Full dimming capacity in all channels, 0-100% with progressive dimming (sunset/sunrise). New customized high efficiency 5w Dual-Chip power LEDs – total of 90 individual LEDs. Seven different types of LEDs rendering spectrums for better coral growth, color and health. Multiple lens options – 5, 10, 15, 45, 60, 90, 120 degrees lens. Designed as a replacement for metal halide systems 400 watts and over. The Atlantik P300 V3 Plus can be installed above any shape of tank and it renders a spectacular solution where the integration of light sources, conceptual design and architectural elements are also desired. The Orphek V3 spectrum delivers fast healing, quick growth and fosters ideal levels of Zooxanthellae algae, giving colors that rival and in many cases surpass metal halides. Multiple lens options – 5 ,10,15,45,60,90,120 degree lens: Orphek’s wide angle convex lens allow the ATP300 V3 Plus to cover larger areas with higher PAR thus reducing the number of fixtures needed to provide adequate lighting for fast growth and amazing colors. The Atlantik P300 V3 Plus combined with Orphek’s wide angle convex lens allow the ATP300 V3 Plus to cover larger areas with higher PAR thus reducing the number of fixtures needed to provide adequate lighting for fast growth and extraordinary color. Whether lighting a large shark lagoon or a 4 meter deep coral reef tank the Atlantik P300 V3 Plus can deliver results. Orphek Atlantik 300 V3+ is the LED solution for a deep coral reef aquarium. 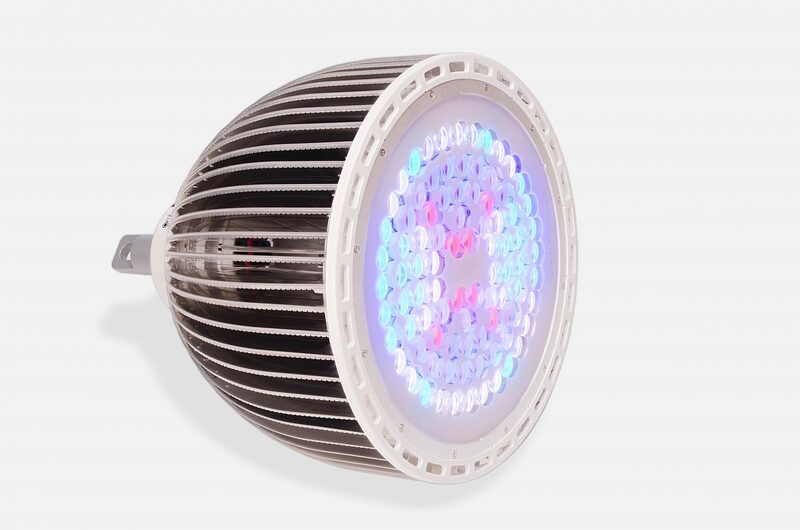 Utilizing state of the art components combined with Orphek’s ability to target the exact spectrum that photosynthetic creatures require, the ATP300 V3 Plus delivers significant light penetration and plenty of coverage which allows for direct 1 to 1 replacement of larger, inefficient lighting systems such as 1000 watt metal halides. Orphek’s LEDs are produced to an exact requirement which allow us to create the spectrum needed for excellent coral growth and color. This flexibility in LED technology gives us the ability to pinpoint certain areas of the spectrum which increases Chlorophyll A and B production which are needed for aggressive growth and superlative coral color. Increase the overall range of the light to 10k-30k: combining all 4 channels and adjusting to your preferences.In the Atlantik P300 V3 Plus the spectrum in each channel allows more control over the white temperature, giving a more natural display and it is combined IoT technology! WHAT DO I NEED TO KNOW BEFORE INSTALLING MY ATLANTIK P300V3 PLUS?